Do you ever wonder if you should live in Canada. 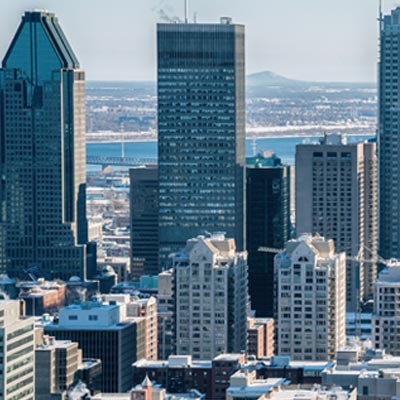 Montreal aims to become like other Canadian cities like Toronto and Vancouver which have official policies not to discriminate against undocumented immigrants and refugees to deny. Montreal, Canada’s second-largest city is set to vote on Monday whether the city should be designated a “sanctuary city.” As expected, if the city approves the idea, Montreal will join other Canadian cities such as Toronto, Vancouver, and Hamilton, which have official policies not to discriminate against undocumented immigrants and refugees by denying them services. In addition to that, sanctuary cities also pledge not to use immigration status, or lack thereof, as a justification to arrest or deport individuals if they come into contact with law enforcement on non-criminal offenses such as a parking ticket, for example. This move comes in the wake of the growing number of refugee claimants crossing the U.S border into Canada illegally, with the largest increase being recorded in Quebec. This scenario has largely been attributed as a reaction to U.S president Donald Trump’s immigration policy. Apart from recently signing an Executive Order banning travel to the U.S from seven Muslim-majority countries, president Trump has regularly issued warnings to undocumented individuals and families that they are likely to face more stringent deportation measures than was previously the case. President Trump is also on record criticizing American sanctuary cities in the U.S such as Chicago, and San Francisco and even threatened to deny such cities federal funding. “It is important in dark times like these to provide those values of justice, openness, and equity for all our brothers and sisters,” said Montreal Mayor, Denis Coderre who also once served as Quebec’s Minister of Immigration. “It’s to give people the tools to provide services in housing and health care” he added. The vote will also give a directive to the public security committee to work with the police to ensure illegal immigrants don’t have their lack of status used against them unnecessarily. The aim of this policy is to ensure that people continue to present themselves as victims and witnesses, without having to fear wider consequences for contacting law enforcement.